Kegon (華 厳 の 滝) – waterfall 100 meters high, is located in Nikko National Park, at Lake Chuzendzi. The waterfall was formed by changing the direction of flow of the river Daiya because of the lava flow. 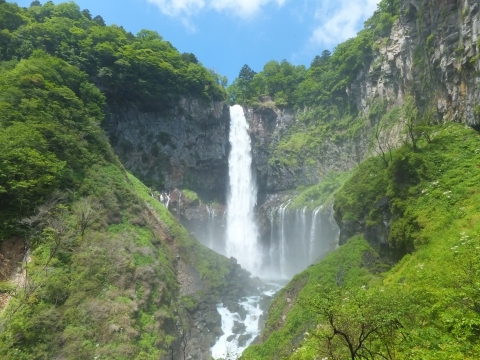 Kegon is considered one of the three most beautiful waterfalls in Japan (along with Nachi and Fukuroda) and the most famous of ’28 Nikko. From the main stream branches off another 11-12 streams flowing down through cracks in the rocks. His name shall Kegon one Buddhist monk, who during travels around the country accidentally found this waterfall. Monk called him “Kegonkё” the title of one of the Buddhist sutras. 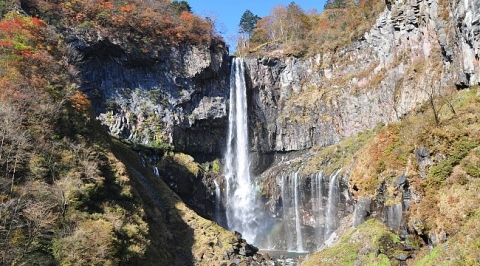 Excellent views of the waterfall is opened from two lookouts, one of which is paid, it is located at the base of the waterfall. You can go down on a special elevator. Kegon – a popular tourist destination, especially during the autumn Momiji-gari. 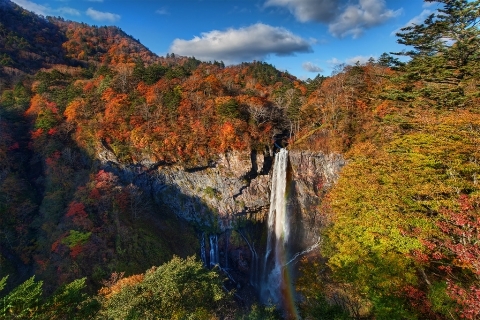 Since mid-October, the foliage of trees framing the waterfall becomes a beautiful, saturated colors. 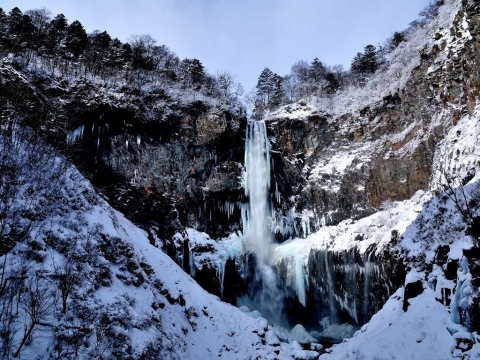 A stream completely freezes in winter, acquiring a bizarre form of ice.